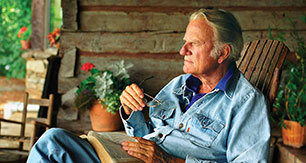 Billy Graham Trivia: Where Did He See Television for the First Time? Q: Where was Billy Graham when he first saw television? A: At the 1939–1940 World’s Fair in New York. In July 1940, the summer after Billy Graham graduated from Florida Bible Institute, he and a friend drove from Charlotte, North Carolina, to York, Pennsylvania, where Billy had been invited to preach at a local church. He was 21 years old. They were in Pennsylvania for two weeks and decided to take a trip up to New York to see the World’s Fair. He was witnessing history. 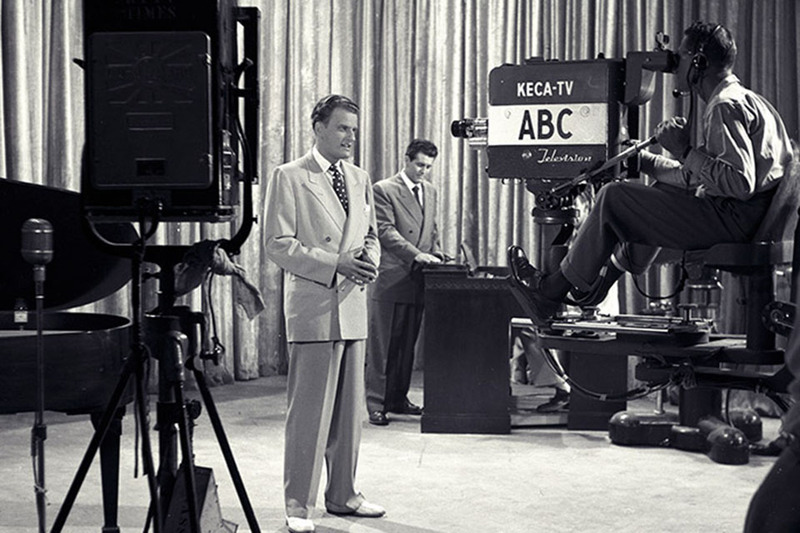 The new technology of television was introduced to the American public at the 1939–1940 World’s Fair; in the following years, televisions would become the focal point of households throughout the country. Billy Graham went on to harness the power of TV to share the Gospel all over the world. Upon his death on February 21, he was widely recognized as a media pioneer who understood the power of technologies such as radio, TV, cinema and the internet. Radio, books, and films have all had an important part in extending our ministry, but by far the most significant in the long term has been television. More than one critic has pointed out the limitations and pitfalls of television. No doubt television also has been used to promote lifestyles and points of view that are opposed to what the Bible teaches. All of that, however, does not rule out television as an incredibly powerful vehicle for shaping character and influencing people for good or for evil. Like most technologies, television in itself is morally neutral; it is what we do with it, or fail to do with it, that makes the difference. Today the Billy Graham Evangelistic Association is carrying on Mr. Graham’s legacy of sharing the Gospel of Jesus Christ through every effective means available. Find out how BGEA’s Search for Jesus ministry is reaching millions through the internet. Watch BGEA’s new 30-minute film, The Message Lives On. Begin (or re-start) your walk with God.